We are pleased to announce our biggest platform update ever: FunMobility 5! Released with FunMobility 5 will be our new and improved ad units—making it easier than ever to create great mobile campaigns that do anything and run anywhere. FunMobility Ad Units from FunMobility on Vimeo. FunMobility 5’s new ad units have been designed to deliver a consistent message to consumers at every stage of the shopping process, in-store and out. 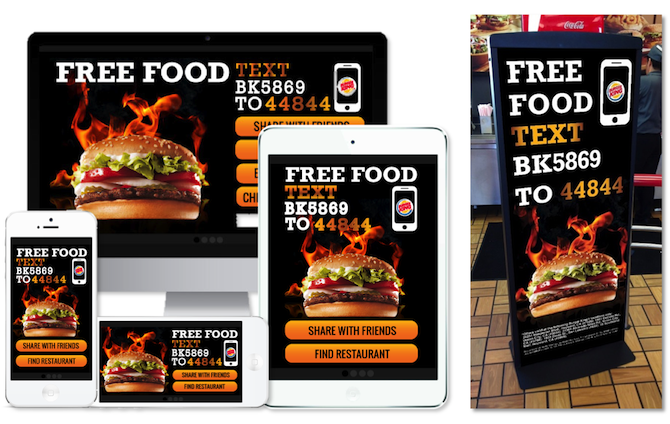 Physical marketing media like signage and on-pack can be used to link consumers to the same unique rich media landing pages discoverable through expandable display ads. 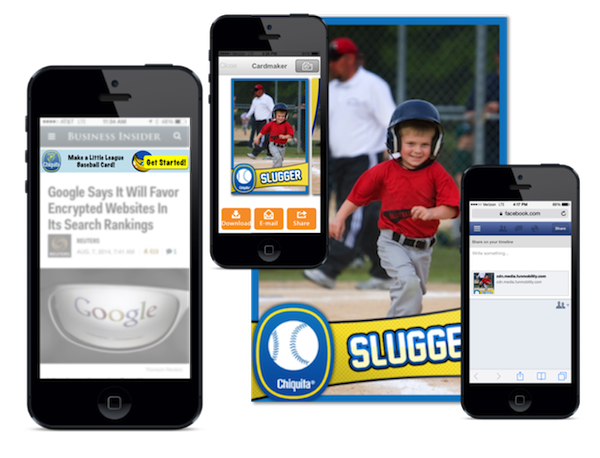 While responsive mobile display ads have now become an industry-wide prerequisite, implementation has until this point been clunky and limited. FunMobility 5 Ad Units are changing this trend with a new type of responsive functionality—making full-screen, expandable ads that adapt for optimal display on any device, including desktop. FunMobility 5 enables cohesive advertising across devices and media channels. Individual design elements in the ad unit’s expanding layer intuitively reconfigure and re-scale for different screen sizes and orientations. This functionality is built into the FunMobility 5 Platform, meaning there’s no need to design different ad creatives for multiple displays. 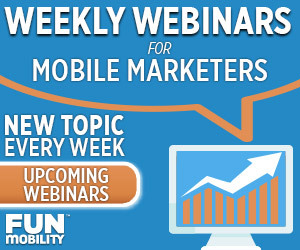 “The bottom line is this: FunMobility 5 offers really cool new ad units that you can’t get anywhere else,” said Lavine. Photo Booth Ad Units, for example, incorporate the mobile camera into the post-click experience. Early results are extremely promising: a 70% post-click engagement rate, and 50% sharing to social. At launch, there are already dozens of customizable rich media ad unit units available through FunMobility 5, each designed to target specific marketing/advertising goals with different rich media experiences—and the catalog is constantly growing to support new features and functionality.